It is always nice when someone young and fresh with so much talent burst into the music scene especially in Africa. Not that anyone has asked me to but I am going to share with you two of such musical geniuses that I currently can get enough of. First up is Mtv base vj Vee money aka Vanessa Mdee. I would admit I became a fan of the Tanzanian diva not because of her tv presenting abilities at the time but for her FASHION SENSE. Notice the all caps? I don’t mean to exaggerate but every time I saw her on my tv screens she was slaying anybody who was considered as her competition with her different looks. Plus she is petite and from one petite girl to another, I was like yaaaaaas! Ok let me not go of topic, Vanessa Mdee has a lovely voice and I know you might say, well so do the Tagoe sisters or that girl who lives across your street but we all know it takes a lot more than a great voice to be a force to be reckon with and my home girl (like she even knows me) just might have the X factor. I know, another female but like Beyoncé said “Who runs the world? Girls! !” (Juuust kidding, or I’m I?) Model, makeup artist, song writer and dancer are some of the side hustles Eva can boast of and I think it’s great because how many people become very successful from just one job huh? 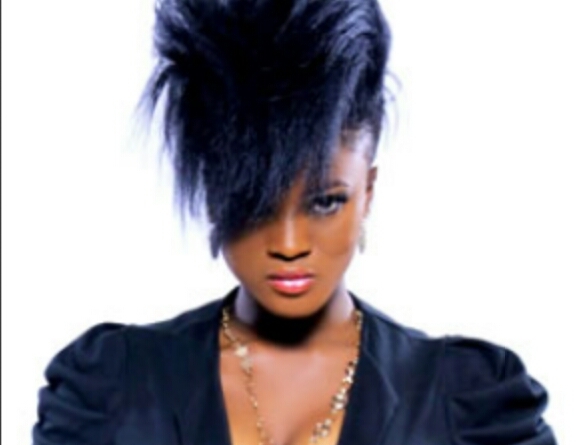 If you have not seen this,then checkout the video of Eva’s recent single “Deaf”. Have a great day.